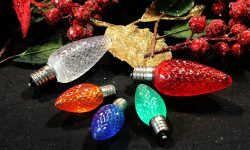 If you're a Christmas enthusiast shopping for LED Christmas lighting, you're faced with sort of a 'good news - bad news' scenario. The good news is that you have a vast array of products and price ranges to choose from. The bad news is that you have a vast array of products and price ranges to choose from. Why is that both good and bad? It's good because there are lots of products that offer top-quality and excellent value, but for a higher initial price. And it's bad because, unfortunately, there are lots of products that offer a low initial price-point and terrible long-term value. 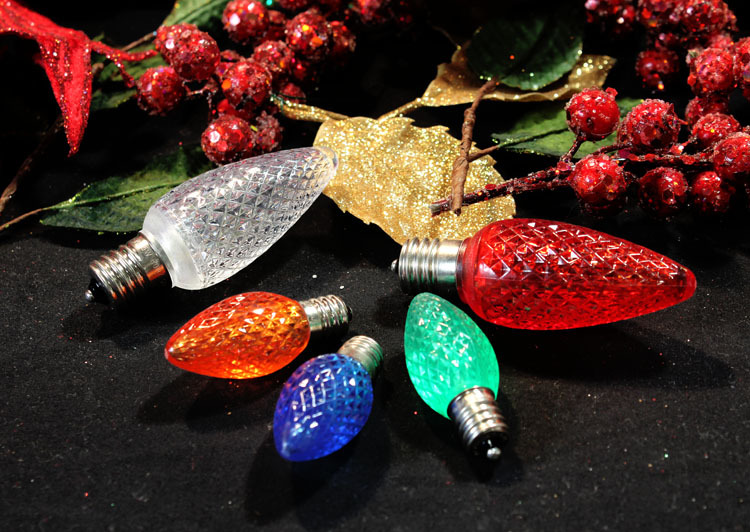 That means that when you're shopping for LED Christmas lights, you'll want to be careful not to let a low purchase price tempt you into buying a product that will cost less upfront, and more in the long-run. And that's not really so different from shopping for any other type of product, is it? Always buy retrofit bulbs and empty socket light line instead of pre-made stringer sets. Always buy Minleon USA brand bulbs. LED retrofit bulbs are used with empty socket light lines. When using retrofits, you simply measure and cut the empty light line to whatever length you need, and then screw the bulbs into each socket. You'll have the advantage of having light lines of exactly the lengths you need for your installation: no more problems of dealing with the sloppy appearance of lines that come up short, or are too long. Better Quality: You can expect to get better performance from LED bulbs, because they are manufactured to a higher standard. That's because retrofit bulbs generally contain more of the light-emitting diodes per bulb than stringer set bulbs. The result is a notably brighter light. Greater Durability: Since LED retrofit bulbs can be individually added to and removed from light lines, the electronics of each bulb must be self-contained. But that's not true of stringer set bulbs; with stringer sets, the electronics of each bulb are part of the line, with the entire line working as a single unit. The self-contained, self-sealed design of retrofit bulbs makes them far more durable, and much less likely to fail than stringer set bulbs. Greater Reliability: The self-contained design of retrofit bulbs makes each bulb less likely to fail than stringer set bulbs. But the self-contained design offers another benefit: When a retrofit bulb fails, ONLY that retrofit bulb fails. The remaining retrofit bulbs in the line continue working just fine. OK, we've established that retrofit bulbs offer better value then stringer sets. But why should those retrofit bulbs be Minleon brand bulbs? It's simply because Minleon bulbs offer the very best quality, and that translates into the very best value for you. Top-Quality Electrical Components: It's very simple: to sell a bulb cheaply, it must be manufactured with cheap components. That's how the cheapo bulbs can be sold so inexpensively and still make a profit for the manufacturer. But Minleon takes a different approach. They use the best components, and charge a bit more for each bulb accordingly. And that's part of why Minleon offers the best value for those wise enough to see beyond the initial purchase price. Threaded Lens Cap: The lens cap of a bulb protects the vital internal electronics from dust, wind, rain, snow and ice. If the lens cap becomes unsealed, the bulb is likely to fail. With Minleon bulbs, the lens cap is threaded, and screws into the base of the bulb for a more secure attachment than competing bulbs. That makes Minleon bulbs far more able to weather the ravages of outdoor environments. One payoff of the superior manufacturing techniques is an extremely low failure rate. On average, we've found that the out-of-the-box failure rate for Minleon bulbs is about 1 out of 500. That's an astoundingly low rate of failure. Over the years, we've tested many bulbs from many manufacturers. None have even come close to the reliability of Minleon bulbs. Yes, Minleon USA retrofit bulbs are a bit more expensive. But they offer lots of extra value, making them the better buy over the long run. And that's why Minleon is the top choice of professional Christmas light installers. As all savvy shoppers know, it's naive to select a product solely because of price, and then expect that you're getting a bargain. With most products, there's far more to the value equation than the initial purchase price. And that's certainly true of LED Christmas lighting products. Purchase price is just one variable in the value equation of LED lights. Quality, durability, and performance must also be factored into the equation. And when all the variables are entered into the equation and the numbers are crunched, very often the 'cheaper' products are proven to offer the lesser value. So when you're shopping for LED Christmas lights, just remember to plug Minleon retrofit bulbs into your value equation. That's one way to assure that the value equation arithmetic will always work to your favor.